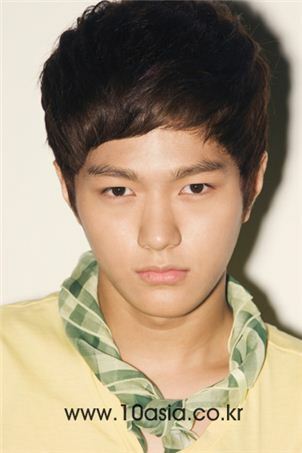 My name is L. My real name is Kim Myung-soo. I was born on March 13, 1992. I’m from Seoul and I have a younger brother who is two years younger than me. I was interested in acting or modeling but I ended up auditioning as a singer too after watching a lot of musicals. The time when opinions clash within our team is when we‘re trying to decide what to eat. It’s hard for us to agree on a single menu since there’s so many of us so we choose when our manager gives us about four choices. Nobody in particular is really stubborn though so we easily give away to the other person. We bought an alarm clock which is very loud but we haven’t been hearing it from a certain point on because we’re so tired. That’s why we take turns to wake each other up and the person who can’t wake up or doesn’t wake up others pays a fine. Everybody has been waking up really well and even scolding each other to wake up ever since. Hahaha.